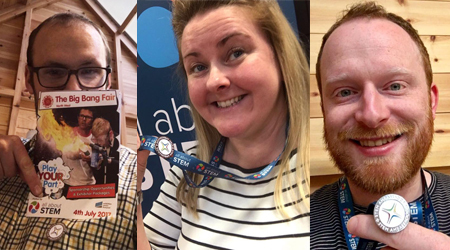 STEM Ambassadors: WIN with the #BringYourBadgeToWork campaign! We are excited to announce that STEM Learning’s community initiative “bring your badge to work” will return this April! Designed to celebrate and inspire the STEM Ambassador volunteer network, last year’s campaign received so many fantastic responses that it’s back for 2018. Team All About STEM are in! Throughout the course of the month, STEM Learning are looking for STEM Ambassadors to get involved using the hashtag #bringyourbadgetowork. At the end of the month, they will be choosing three people to win £50 worth of Amazon gift vouchers! They’ll be looking for posts which show your passion for what you do and what it means to be a STEM Ambassador! If you don’t use Twitter and still want to get involved, you are welcome to post in STEM Learning’s online community group instead. Please start a new topic using the hashtag so we’re aware you’re taking part in the campaign. 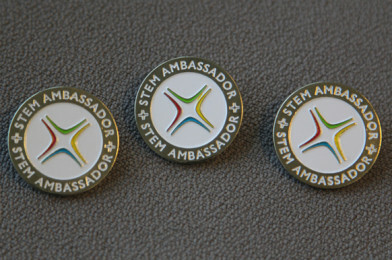 We look forward to seeing some really innovative posts from our STEM Ambassadors!